This hardwood yo-yo is assembled by us from domestic parts. 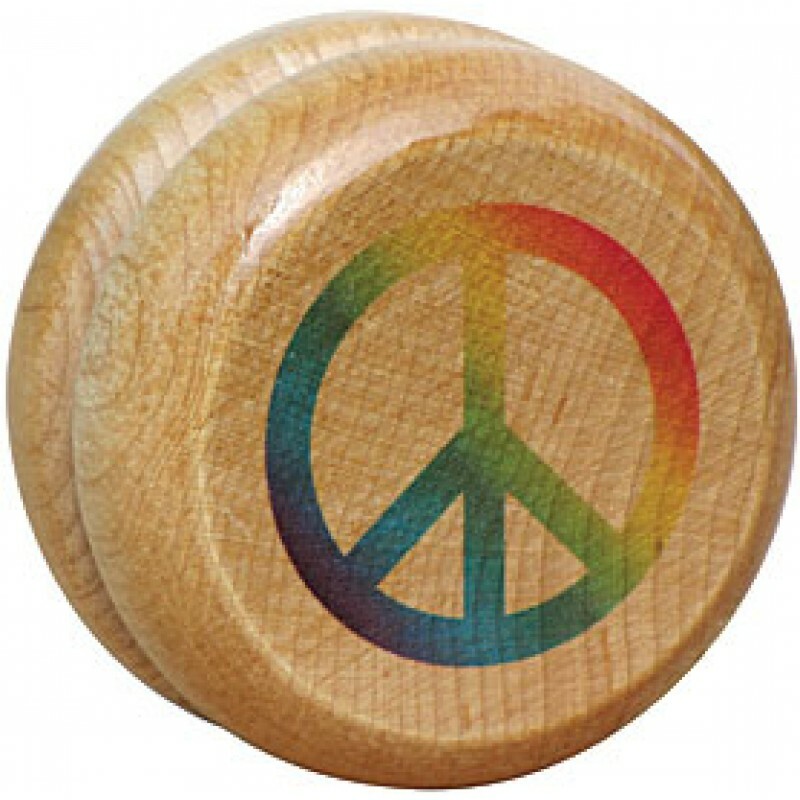 A printed rainbow peace sign decorates one side. Yo-yo measures approximately 2-1/4" diameter by 1-1/4" thick.